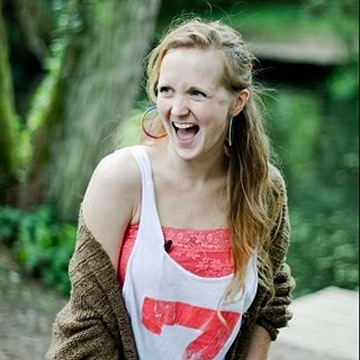 British poet, author and spoken word artist Hollie McNish is a poet based between Cambridge and Glasgow. She loves writing poetry. She has published three poetry collections Papers, Cherry Pie and Plum, and one poetic memoir on politics and parenthood, Nobody Told Me, of which the Scotsman suggested “The world needs this book” and for which she won the Ted Hughes Award. In 2017 Nobody Told Me was translated into German, French and Spanish and released in the USA. McNish has published five books of poetry: Papers, Cherry Pie, Why I Ride, Nobody Told Me, and Plum. Nobody Told Me won the 2016 Ted Hughes Award for New Work in Poetry. Hollie tours continuously all over the UK and Europe and beyond and is a big fan of online readings - her poetry videos have attracted millions of views worldwide.